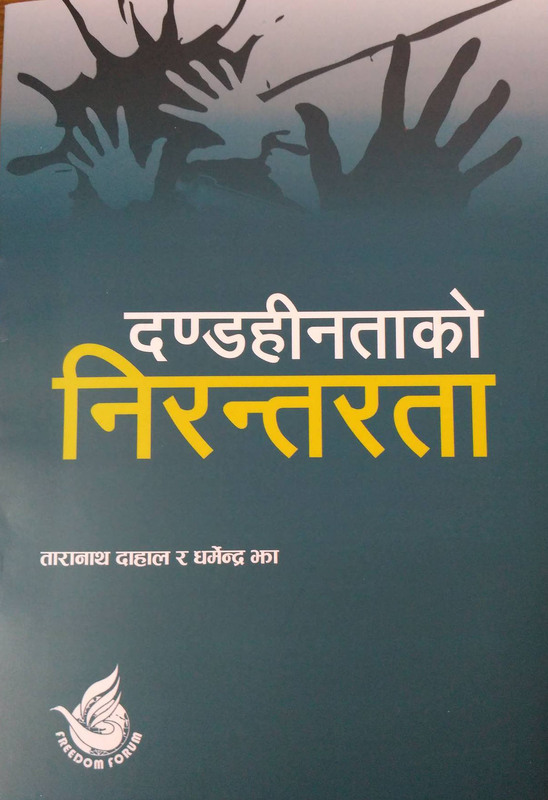 First of its kind in Nepal, Freedom Forum organized 10 programs- one each in three universities and one each in seven provinces- to mark the International Day to End Impunity for Crimes against Journalists. FF gathered over 350 persons, representing media, academia, victims’ families, research, human rights defenders, legal practitioners, political representation, right to information campaign, attorneys, local administration and security agency. During the programs, the participants raised univocal voice that those involved in the crimes committed against journalists over times must be brought to book to address impunity relating to it. 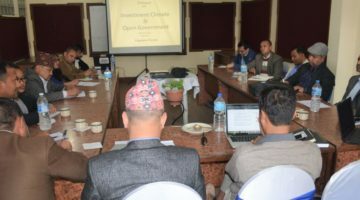 In order to orient and sensitize the participants from diverse sectors, FF sent its representatives to each program where they made presentations on importance of the International Day to End Impunity, Nepal’s situation of press freedom and freedom of expression and related impunity, and FF’s campaign and advocacy for promotion and protection of freedom of expression and impunity related to crimes against journalists. At a programme in Biratnagar (Province No 1), Chief District Officer of Morang, Mr Ram Prasad Acharya, said media was at high risk due to prolonged transition in Nepal. Similarly, at the same program, a leader of the Maoist Centre party, Ms Hari Maya Sharma, said political parties had important role for the protection of journalists’ rights because media is the mirror of society. At the program in Dhulikhel of Kavre district (Province No 3), Chief District Officer, Mr Shiva Prasad Shimkhada, said a thorough investigation was imperative on the slain and attacked journalists. In Pokhara (Province No 4), noted investigative journalist, Mr Hasta Gurung said Nov 2 should be marked as the day to restore journalists’ rights. Those attacking journalists are of criminal mindset, he argued. Moreover, in Dang (Province No 5), central member of Amnesty International Nepal, Mr Bipin Budhathoki, said nine journalists were killed in Nepal after second people’s movement of 2006. Roka is from neighbouring Rolpa district. “Being a health reporter, I’ve experienced different kind of threat and harassments,” shared Ms Fatima Banu, adding, “When visiting different hospitals, I found that patient is victimized by the doctor themselves. When I knew about all this and wrote a news story I was then mocked through social media saying, ‘Get well soon.'”. During the programs, the report FF prepared on legal status of the media persons killed and disappeared since 1996 to 2016 named ‘Unabated Impunity’ and the stickers with the slogan- Protection of FoE for Civilized Society were distributed among the participants. 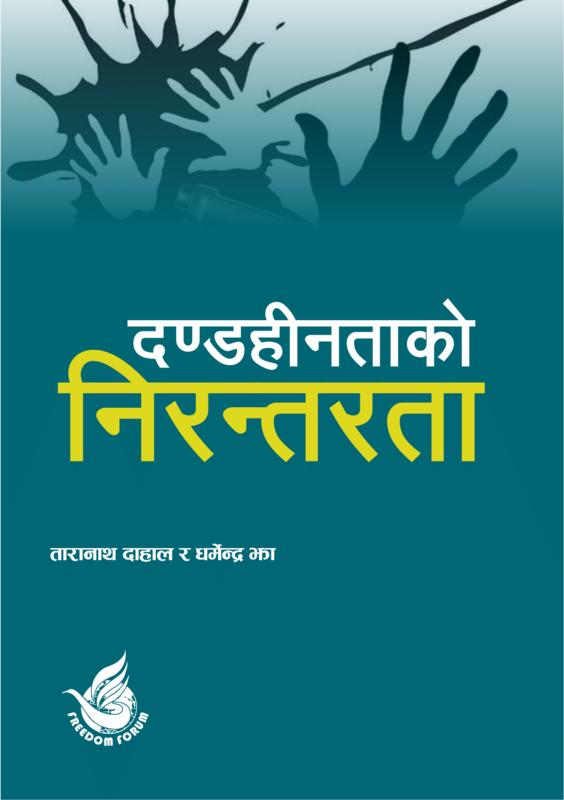 Conclusively, the enthusiastic participation and active engagement from diverse sectors at the November 2 programs signaled that safety of journalists is a key issue in Nepal. The impunity relating to crimes against journalists as said by the daughter of disappeared journalist Roka is a pressing issue that needs due address, which seek roles from the FoE defenders, administration, security agency and political parties as well. The program helped to sensitize the stakeholders widely about the End Impunity Day.